Show how you enjoy Nando's Loaded Classic burger! 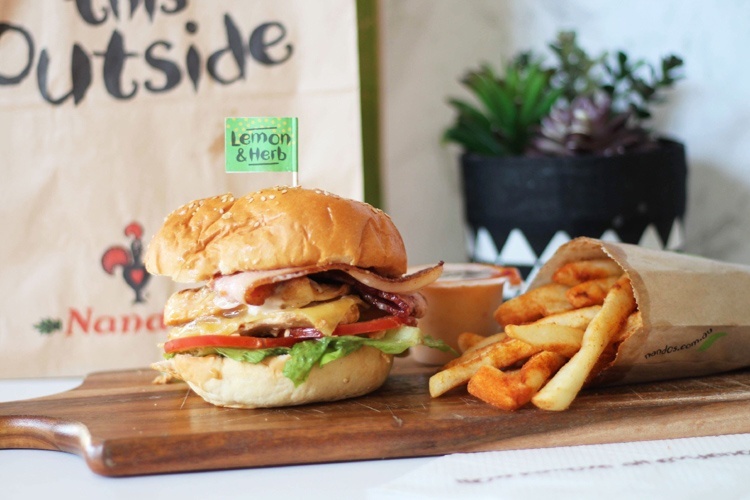 Order a side salad or chips with PERi Salt, include our sauces and the Nando's flavour flag, and feel free to add extras to your burger – like chicken,avo or bacon! People/dogs in shot a bonus. this_pixel_life Looks fantastic. Nandos here I come!